Short and simple if your a fan of his past work from when he was first around then you need to get this defiantly worth the wait. The album itself is quite short but with it being Part 1 of 3 album installment I guess he can be let of with 9 solid tracks you can hardly complain (just an expensive way of doing things for us). Stand out tracks for me Fistful of Tears, Pretty Wings although after a few listens most of the tracks begin to stand out a little more after each listen. Don’t know what to expect from the next two albums this is very mellow and ballady will be interesting to see what comes with the next two we will see! Not too much info on what there going to be about thus far so I guess I’ll wait and pass judgment once I’ve given them a listen! 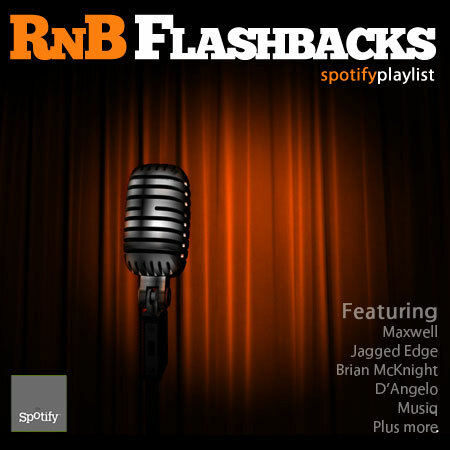 If your into your old school RnB from back in the 80s,90s with a bit of neo-soul and a sprinkling of tracks you might not of heard for a while then get your ears around this, Spotify playlist. I have been working on this for a little while and it is getting updated on a regular basis so keep checking back! What qualifies for an old song? Lets go for 10 years… Song 6 would not qualify as it was released in 2001 but it is a classic cover version of a song originally released in the late 80’s by Kate Bush so I’ve bent the rules to fit this in. This is how to do a cover much prefer it to the original could listen to this all day long. New material is due from Maxwell this summer I beleive so we will see ‘Now’ is by far his best album imo!